Of all the best cycle paths to do in Italy one cannot help but mentioning the route between Peschiera del Garda and Mantova. Flat and suitable for everyone, this cycling path runs along river Mincio passing through the suggestive greenery of the Mincio Park. I included this path in the 6 best cycling routes in Italy. This route is about 45km long. You can decide to start from Peschiera del Garda, a well-known touristic destination on the south-east part of Lake Garda, or from the city of Mantova, one of the main centers of the Italian and European Renaissance also included in the UNESCO World Heritage list. If a return ride is too much for you, you can decide to go back by train (there is a railway station both in Peschiera and in Mantova) carrying your bicycle with you. 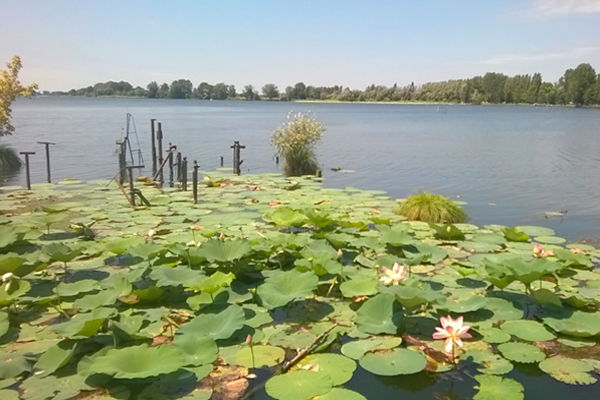 But what should you know about the cycle path between Peschiera del Garda and Mantova? Here all the answers and the description of the itinerary with starting point Peschiera. About 45 km from the north to the south, it is a very easy track, well signposted and suitable for everyone, with a modest altitude, fully paved and completely isolated from traffic. Spring is the best time to travel it, but also the period when the route is more popular, especially on holidays. The river Mincio is the main protagonist of this path since it arises from Lake Garda, in Peschiera, and arrives in Mantua where it forms the three lakes that surround the city. Besides the natural beauties, this cycling route gives the opportunity to visit small towns and charming villages scattered in the countryside, where you can see fortifications, rural villages and other cultural and historical attractions. 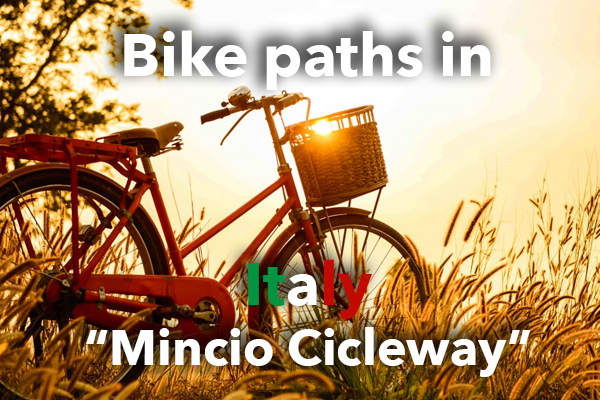 Our itinerary along the cycling path of the Mincio Park starts in Peschiera del Garda, close to the railway viaduct (not far from a free parking in the sports field area). The path twists and turns along the right bank of the Mincio river up to Mondambano, where it passes on the left embankment; from here it continues towards Valeggio and Borghetto sul Mincio (15 km from Peschiera), where I recommend a stop for lunch. Very impressive is the medieval village of Borghetto sul Mincio, dotted with colorful houses and mills. The path crosses the Mincio Regional Natural Park, a protected area covering right the valley of the river from Lake Garda to its confluence with the Po river. The natural variety, ranging from the moraine hills to the plains, from waterways to the Mantua’s lakes, is home to a large number of species of birds, including storks, herons, hawks, peregrine and black kites, a perfect place for birdwatching. 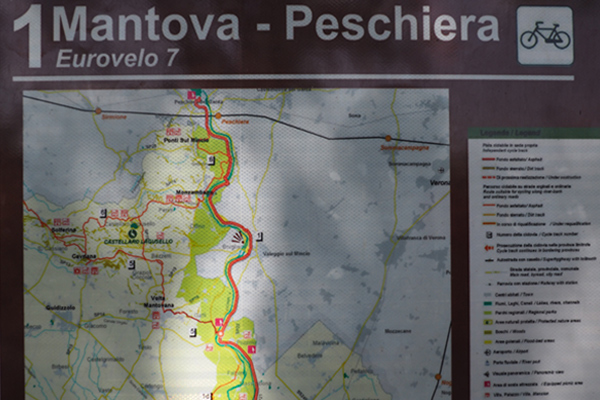 The cycle path flanks the Mincio river up to the village of Pozzolo, where it is possible to take a variant leading to Volta Mantovana. From here on, the cycling path moves away from the river banks and continues along the canals of the flat surrounding countryside, to finally reach Mantua and, with a small stretch a bit longer along a pedestrian street you reach the Lago di Mezzo (Middle Lake), up to the main square of the city with its amazing Palazzo Ducale. For more information about Terre del Mincio, click here.